This event is part of a series of events commemorating the 50th anniversary of the Catonsville 9 action and is presented in collaboration with the Maryland Historical Society. On May 17, 1968, nine Catholic activists entered a Selective Service office in suburban Catonsville, Maryland, dragged stacks of Draft Board records out into the parking lot, and set them on fire with homemade napalm. They then prayed and waited to be arrested. In doing so, they kindled a wave of similar protests against the Vietnam War across the country that swept up dozens of participants and inspired thousands, and then millions. 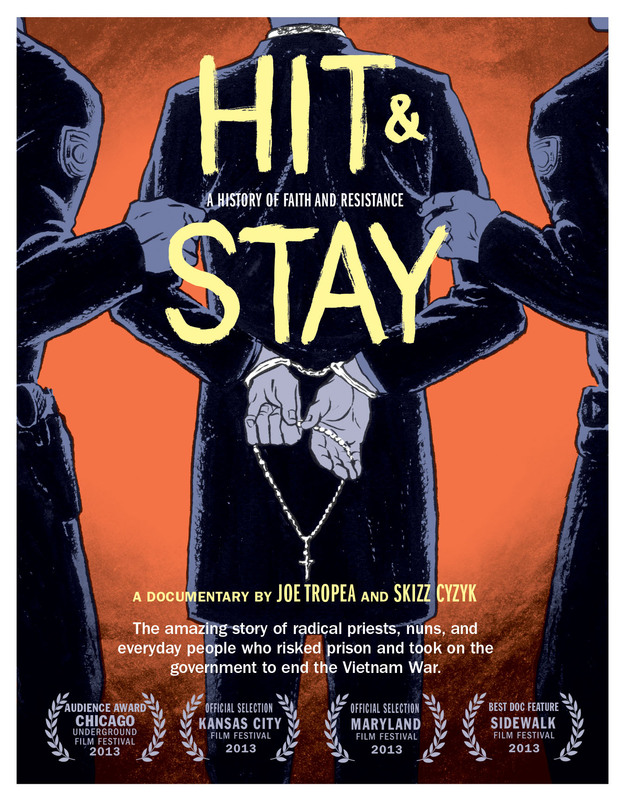 HIT & STAY, a new documentary film by Joe Tropea and Skizz Cyzyk tells the story of the Nine and those who joined them in protesting the war.